Co-Op Critics is gaming podcast where we focus on a game or an aspect of the hobby as a topic for a in-depth discussion. 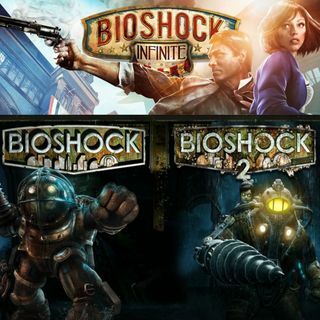 In this episode of Co-Op Critics, Brian is joined by Kim Wong and Dave Fetterman as they discuss the WiiU's woes and the Bioshock trilogy. You can follow Brian on Twitter (twitter.com/seebrianwrite) and check out his blog at www.seebrianwrite.com. You can find Kim Wong (twitter.com/rightwong) and Dave Fetterman (twitter.com/fetterdave) on Twitter as well. For more ... See More gaming discussion, you can head over to www.co-opcritics.com.